No one should be putting plans on hold in anticipation of a route change of the Kenai Spur Highway through Nikiski, says Larry Persily. The effort to bring a natural gas pipeline from the North Slope to Nikiski may be running out of gas. Market conditions have changed a lot in the six years since the Alaska Gasline Development Corporation was formed by the legislature. 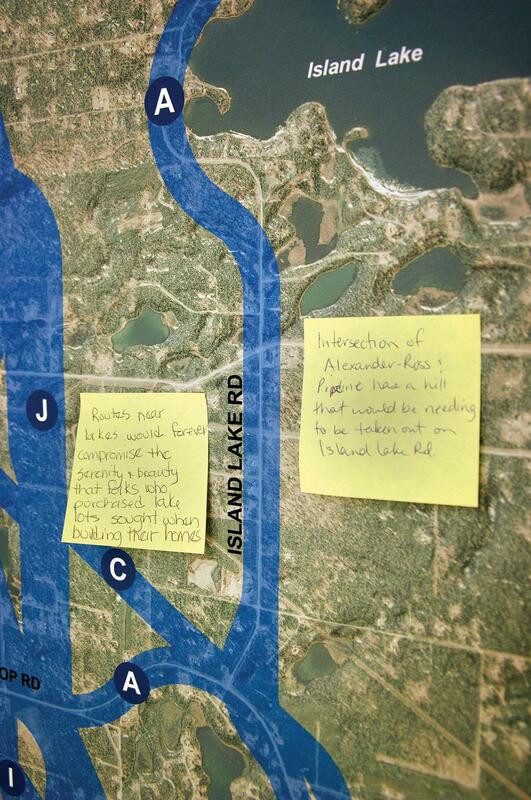 In a presentation to a joint meeting of the Kenai and Soldotna Chambers of Commerce Wednesday, former Borough Chief of Staff Larry Persily, who has tracked this and previous plans for an instate gas line over the years, laid out the numerous challenges that he says make the project next to impossible, at least for now. Persily spoke to a packed house at the Kenai Visitors and Cultural Center, wearing the hat of someone who has an almost encyclopedic knowledge of the state’s long history of trying to bring North Slope natural gas to market. Some important milestones for the project could be made this year. But finding buyers for the gas and investors in the $43 billion plan aren’t likely on the list. A draft environmental impact statement is expected by the end of this month. Persily says the state would be wise to at least see that part of the process through and follow it up by getting approval from the Federal Energy Regulatory Commission. That’s a lot of valuable front-end work already done, should the project ever find more financial support. What doesn’t make sense is the economics. China has been expected to be a customer of AK LNG exports. But as an energy market, China isn’t growing as fast as it was a half-decade ago. And it has other, more cost effective options for natural gas closer to home, like from Australia. Then there’s the fact that the world market isn’t clamoring for gas. There’s a lot of supply out there, and one of the leading exporters of gas, Qatar, is about to expand its capacity, Persily says. And that’s one of the biggest challenges for AK LNG. Other projects around the world enjoy a lot of government support, while the state of Alaska seems to have given about all it can give, at least for now. There is still some interest in a stand-alone pipeline; a smaller pipe, but more or less the same project, just without the big export facility at the end. Persily says just because the big project doesn’t look economical, it doesn’t mean a smaller one pencils out any easier. Persily estimates the Alaska Gasline Development Corporation will run out the money it’s been appropriated by the legislature by the end of the year. And the official conversation about the gas line seems to be winding down on the Kenai as well. The borough’s AK LNG Project Advisory group, which has been meeting since last spring, will get together for its final scheduled meeting next week. The Alaska Gasline Development Corporation spent a lot of 2018 talking about how much progress it was prepared to make on an instate gas line in 2019 and beyond. But investors are still being sought and an environmental impact statement due in February is no guarantee that permits will be issued. With a new administration set to begin work in Juneau next month, state leadership for the AK LNG project is beginning to change, too.